Architecturally outstanding, this spectacular home on 8617sqm is an expression of pure style. 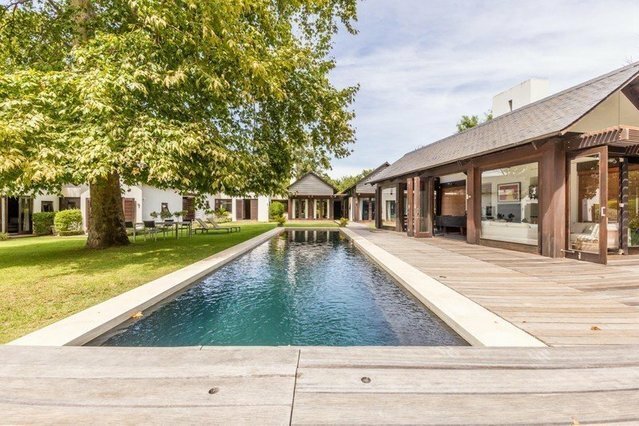 Designed to provide a luxurious level of comfort, ultimate privacy and security, it enjoys a privileged position with access to Groot Constantia vineyards. A combination of light and space filter through the ceiling high windows and double volume doors and enjoys formal and informal lounges, luxurious outside entertainment room, office, study, 5 en-suite bedrooms and an Italian open plan kitchen and tennis court. The benefits are too numerous to mention.